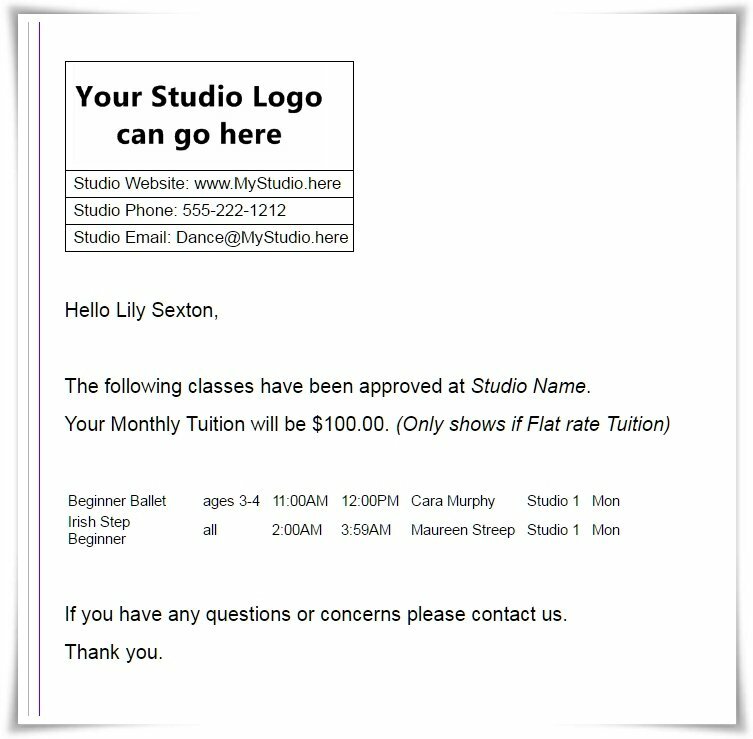 Your studio can have the add on option of emailing out your school schedules. This option needs to be customized for each school and will have a one time only added expense for set up. If your school is set to email schedules, here are the easy steps. The system will automatically group by student for you. It will automatically select the default season. If you wish to send a schedule for a different season, select it at the top . You can also filter for a specific class and email the schedule if there is a class change. !Keep in mind, you must keep the rows grouped by student. Each row displayed will be come 1 email. You can customize the Schedule alert that is used to email the Student Schedules. *If you do not see this alert in your list, you are currently not able to send schedules. Please contact CompuDance if you would like this capability. You can change the default alert to include your logo, other contact information and edit the text around the schedule. Please note that if you write in a personal message for a one time use. You must come back to the alert and edit it out before you send the next schedule. If you need assistance, please call or email us what you would like to do.